For the Palestinian people, the internet is the only site of cohered community; of the 11.6 million Palestinians in the world, all live under occupation, separation, siege, exile – or as second-class citizens in Israel, where they are subjected to more than 50 discriminatory laws. Yet the Israeli government is increasingly policing virtual space. 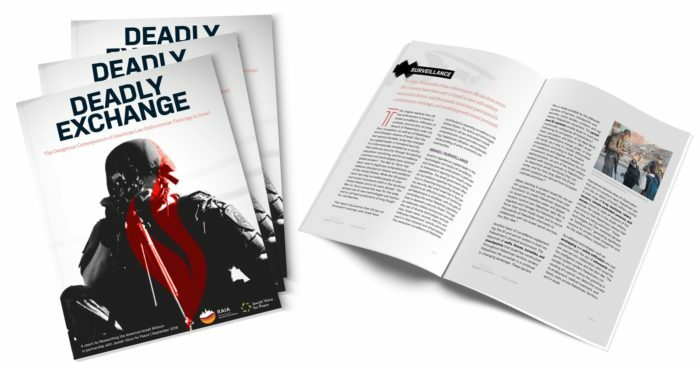 Annual reports from Hamleh, The Arab Center for the Advancement of Social Media, show the rapid rise, every year, in Israeli arrests of Palestinians for the charge of “incitement through social media.” Three hundred people were arrested in 2017 alone for posting online. Historically, poets go to prison when unjust systems reach a level of control so brutal that no opposition can be tolerated. Russian Anna Akmatova was declared a non person by Stalin. South African poet Dennis Brutus was imprisoned on Robben Island with Nelson Mandela. Of the thousands of poets and writers arrested or exterminated by the German Nazi government, the best known perhaps is Martin Niemoller, a Christian, who wrote the “first they came for…” piece that has inspired a wide range of resistance movements for over a hundred years. While free speech has always been a principle and a marker of democracy, the Israeli crackdown on poetry comes at a very specific moment. In 2005, Palestinian civil society inaugurated a strategy of nonviolent resistance by asking people worldwide to show their support through joining the Boycott, Divestment and Sanctions Movement (BDS), which has grown increasingly popular around the world. Following appeals from 250 writers, the literary powerhouse PEN America quietly acknowledged that they no longer accept funds from the Israeli government for its World Voices conference. Norway’s trade unions, the city councils of Dublin and Barcelona, the Presbyterian Church USA, the United Church of Christ and the United Methodist Church (UMC) and several Quaker bodies, the largest agricultural union in India (16 million strong) and significant voices within the British Labour Party have all endorsed some element of BDS. 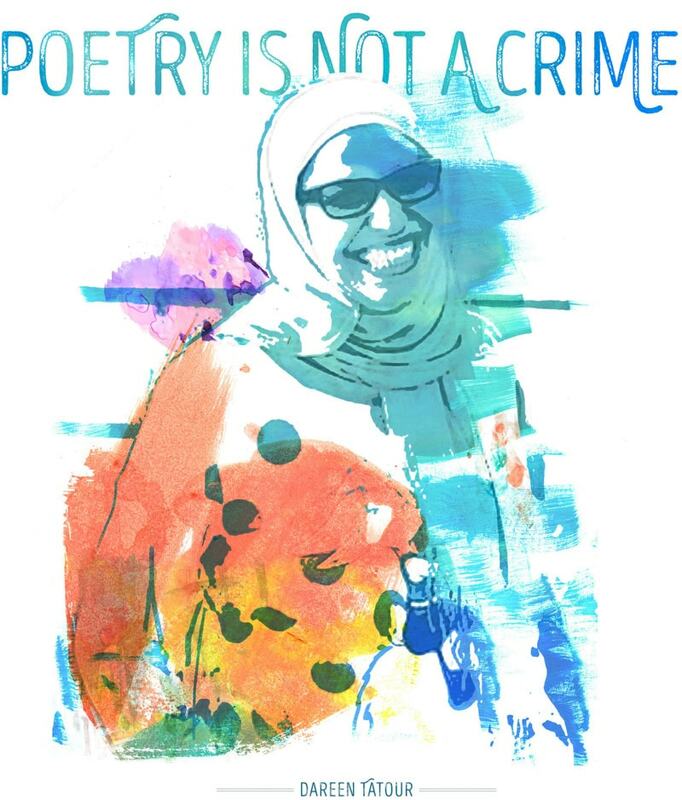 Dareen’s poem appeared after the 2014 Israeli war on Gaza, in which 2,300 people, mostly civilians and many children, were killed by Israeli aerial warfare and ground invasion. Schools, mosques, and hospitals were destroyed. Her conviction took place as the non-violent “Gaza March of Return” reached its sixth week. To date, Al Jazeera estimates that more than 152 Palestinians have been killed and 16,000 wounded as part of this enormous mass protest, including journalists wearing “Press” vests and two medics. Palestinian strategies of non-violence have proved increasingly successful in garnering international support, and in attracting Israeli rage. Thus, poetry, the epitome of non-violent resistance, becomes symbolic of this new surge of organizing to overturn oppression, and in this way exposes the heart of the Palestinian experience. As her imprisonment continues, the question of world responsibility is called. Free the poets, free the poems – these are means to free the people. We hear you, Dareen.